Revolucion One SEO Perth strategies will help your business earn a higher ranking in the search results. We’ll provide a full Website SEO Analysis report, SEO keyword rankings report, a link building profile report, and indexed page information. Our customer-focused team will improve your traffic flow and increase sales for your web-based operations. Links from relevant sources boost your rankings and help potential customers find your website. Recover your rankings and drive more traffic to your page starts with a comprehensive link audit. CRO is the process of using analytics data and various methodologies to increase web conversions. A fast performing website plays a small part in helping you outrank your competitors with slow websites. By implementing a content marketing strategy such as blogging, you’re able to juice your site and rank for more keywords. Your content needs to be distributed across social media and also needs to be keyword relevant to the content you’re linking to. 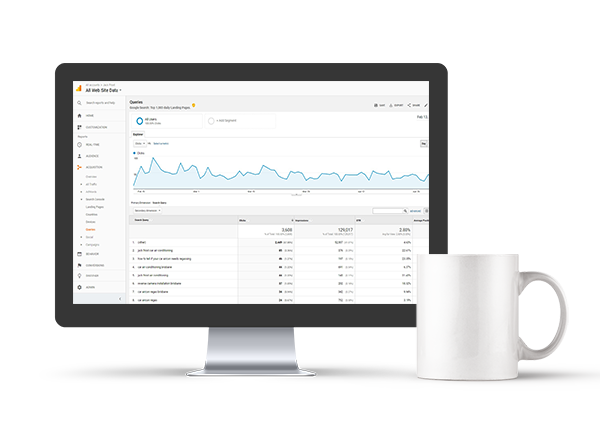 Starting outranking your competitors and dominate the search results for your business. Contact us today to get the ball rolling. Our SEO Perth experience will impress you. Search engine optimization (SEO) is the process of positioning the visibility of a website higher in the search engine’s organic search results. In general, the higher ranked you are on the search results page the more visitors it will receive from the search engine’s users and more traffic means more sales. Read our article what is search engine optimisation? to learn more about SEO. Why My Business Needs SEO? Marketing through search is swiftly entrenching itself as the go-to medium for online success. Therefore, it behooves every business or company, to forge a dominant online presence as well as feature prominently in SERP by deploying excellent SEO strategies. This article comprehensively explores the immense power of the Search Engine Optimization tool and the importance of ranking better on the Search Engine Results Page. Read our article about why SEO is important for businesses. Do I Need To Sign an SEO Contract? We don’t believe in SEO contracts. The reality is you can’t guarantee page one rankings and it doesn’t make sense to place the client on a long-term contract when you haven’t generated them any results. Our client pays on a month by month basis and can cancel anytime. How Long Before I See Results With SEO? 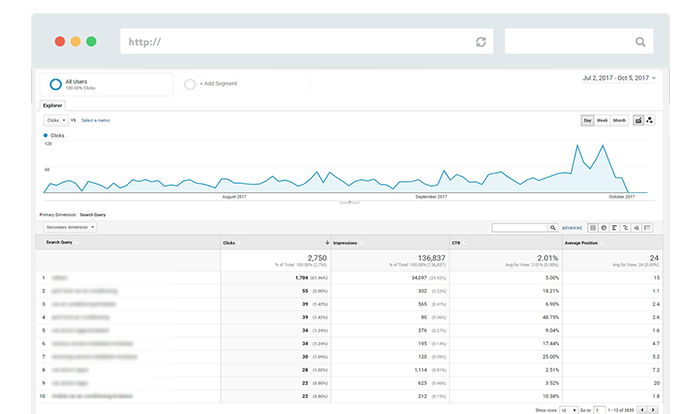 Depending on the competitiveness of the keywords you can see results as early as 14 days or as long as 6-12 months. High volume keywords are normally the keywords every business wants to rank for, thus making it more and more difficult to get to the top. The more competitive the keyword the longer it will take and that’s the honest truth. We have strategies to handle all scenarios. Difference Between Black Hat SEO & White Hat SEO? Black hat SEO is where you use aggressive SEO methods which don’t follow search engine guidelines to manipulate your search rankings to get to the top of search results. These tactics result in short-term gain as your website will be penalized and removed from the search engines altogether. White hat SEO is where you utilize optimization strategies, techniques, and tactics that focus on a human audience opposed to search engines and completely follows search engine guidelines. White hat strategies provide long-term results and keep you in the good books with search engines like Google, Yahoo, and Bing. Let’s take your Search Engine Rankings to new heights. Contact us today and discover how we can grow your business with an SEO strategy.